Congregation Beth Israel’s new associate rabbi Sara Mason-Barkin. 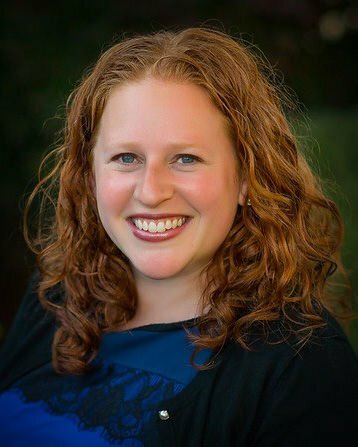 Congregation Beth Israel in Scottsdale has hired Rabbi Sara Mason-Barkin to become its new associate rabbi starting on July 1. Mason-Barkin was selected from a pool of more than a dozen applicants who submitted their resumes during the six-month search. Beth Israel President Jackie Cohen said she was impressed by Mason-Barkin’s energy and ability to relate to people of all ages. Rabbi Stephen Kahn, head rabbi for Congregation Beth Israel, echoed Cohen’s sentiments. Mason-Barkin is currently the associate rabbi-educator at Peninsula Temple Beth El in San Mateo, California, where she has been since 2013. In that position, her primary responsibility is working with families with young children. In addition to teaching classes for first-time parents, she also helps to run the temple’s middle school. Mason-Barkin previously served as assistant rabbi and congregational educator at Temple Emanuel of Beverly Hills, California. Originally from Buffalo, New York, Mason-Barkin has also lived in Chicago and Boston. Mason-Barkin received her bachelor’s degree from Brandeis University and her rabbinic ordination from the Hebrew Union College – Jewish Institute of Religion in Los Angeles, where she also earned master’s degrees in Hebrew letters and Jewish education. Mason-Barkin will move to Arizona with her husband, Josh, and their children, Charlie and Sela, sometime in mid-June.